Shinichi Mori (Mori Shinichi, born November 18, 1947 in Kofu, Yamanashi) is a Japanese male enka singer and composer, who also sings folk and pop music. Nishinippon Shimbun claims that his total sales of gramophone records and CDs has been over 90 million copies. In the beginning, Mori won a competition at Fuji Television Network in 1965. He debuted with the successful song “Onna no Tameiki” of the famous composer Inomata Kōshō in 1966. His first debut at Kōhaku Uta Gassen was in 1968, singing “Hana To Chō”. His 1974 Japan Record Award-winning song “Erimo Misaki” was composed by Takuro Yoshida. His 1982 song “Fuyu no Riviera” was composed by Eiichi Otaki, former member of Happy End. His song “Ofukuro san” was covered by Sharam Q in their 1997 album Sharam Q no Enka no Hanamichi. His 2003 song “Ōkami Tachi no Tōboe” was written and composed by Tsuyoshi Nagabuchi. His 2004 song “Saraba Seishun no Kageyo” was written by Izumi Sakai. 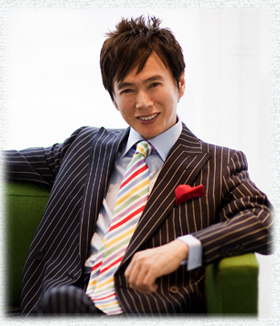 Sinichi’s long career as an enka singer is well-known and he has many appearances in Kōhaku Uta Gassen. He has taken part in the Kōhaku Uta Gassen since his debut at 19th Kōhaku Uta Gassen. In October 2008, his single “Hatoba” debuted at number 27 on Japan’s Oricon charts. The song was composed by himself. By the song “Hatoba”, he became the first artist to have one hundred of Top 100 singles in Japan’s Oricon charts history.